First things first, if you have never watched Star Wars: The Clone Wars, do not read a lot of Star Wars comics, or have not followed news about The Force Awakens, then this post contains some spoilers. Read on at your own risk. Second, I am going to come right out and say that in this post I am pushing some of the limits. I know that some of you will push back against what I say, and I am perfectly fine with that. Do it! Just be nice about it when you do. Anakin Skywalker lifts Sidious, preparing to hurl him into the depths of the Death Star. 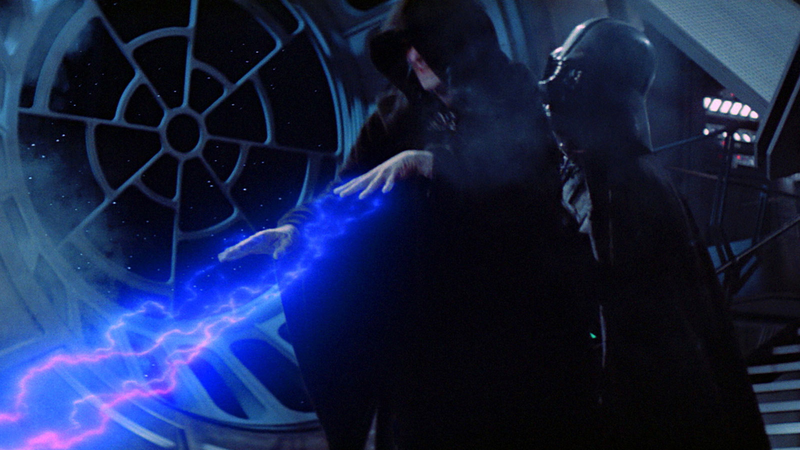 Watching as his pleading son is electrocuted by Darth Sidious, Darth Vader chooses to intervene on his son’s behalf. Vader, or rather, the redeemed Anakin Skywalker, lifts Sidious and plunges him into the bowels of the Death Star. Keeping in line with Sith philosophy dating back to the ancient Sith Darth Bane, by killing Sidious it is then Vader/Skywalker’s right to assume the role of Sith Master and take an apprentice of his own. HOWEVER, the redeemed Anakin Skywalker, having shed himself of his Sith title, does not take up the mantle of Master. While Vader was interested in taking Luke as an apprentice, Anakin Skywalker has no intentions of doing so since he has shed himself of his Dark title and returned to the Light Side. With Sidious dead, and Vader no longer a Sith, the Order came to a sudden and dramatic end. 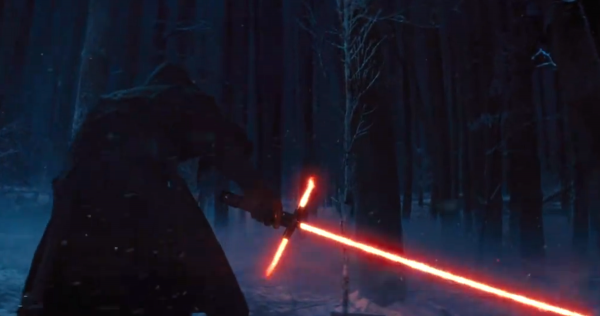 A dark robed figure walking through a wintry, wooded area suddenly stops and ignites a crackling red lightsaber, two shorter blades extending to form a cross guard. When the first teaser trailer for The Force Awakens landed, speculation immediately began about whether this mysterious individual, this Kylo Ren, was a Sith. Kylo Ren ignites his lightsaber. Questioning whether this figure was a Sith was natural. At the end of Return of the Jedi, Luke Skywalker is the last Jedi. If Luke went on to rebuild the Jedi Order in the days, months, and years following the Battle of Endor, perhaps another figure had decided to rebuild the Sith Order as well. Besides, it would make sense that if the Jedi were restored that their ancient and mortal enemies would be as well, right? But just recently, J.J. Abrams, director and co-writer of The Force Awakens, dropped two important nuggets about Kylo Ren. Just as “Darth” is a shortened form for “Dark Lord of the Sith,” Kylo Ren, as Abrams pointed out in an article in Entertainment Weekly, belongs to a group called the Knights of Ren. Presumably, “Ren” is a title. Secondly, Abrams also confirmed in an article in Empire magazine that Kylo Ren is NOT a Sith, though he does work for First Order Supreme Leader Snoke. Snoke, as Abrams notes, is a powerful Dark Side user but there is no indication that he is a Sith. Maybe he is, maybe he isn’t. If I was a betting man, I would put my money on the latter. Anakin Skywalker killed Darth Sidious but did not continue the Sith line. Kylo Ren is a user of the Dark Side who works for another powerful user of the Dark Side. But Kylo Ren IS NOT a Sith, and he is a member of a group called the Knights of Ren, so we can probably bet that there are a handful of other “Ren-ites” out there. Having arrived at this point my question is this: who exactly can we say is the LAST Sith in the line that extends back to Darth Bane? 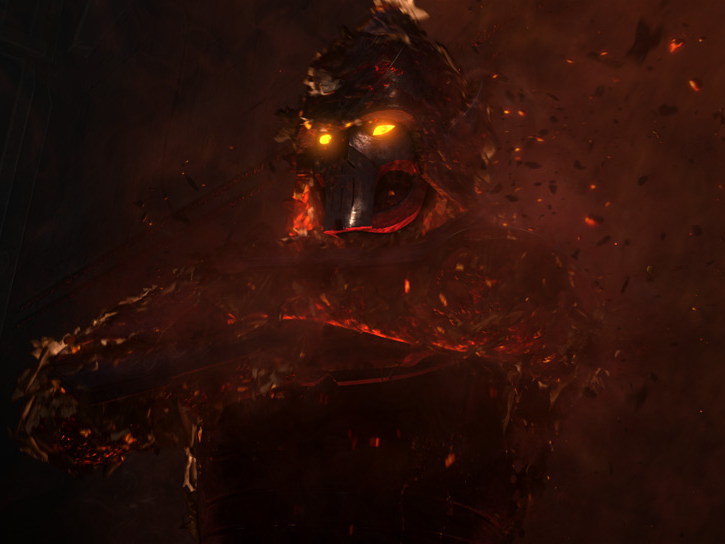 Remember, it is Darth Bane, the ancient Sith Lord who, after surviving the destruction of the Sith millennia ago, re-created the Sith in a new image. You can think of him sort of as the hinge that connects all who came before him and those who came after him. And so, given all that we know, WHO is the Last Sith Lord? The last Sith is not Darth Vader OR Darth Sidious. The last Sith Lord is Darth Maul. I know, I KNOW, I’m as surprised as all of you! I never saw that coming either! Well, okay, I did see it coming, but whatever. 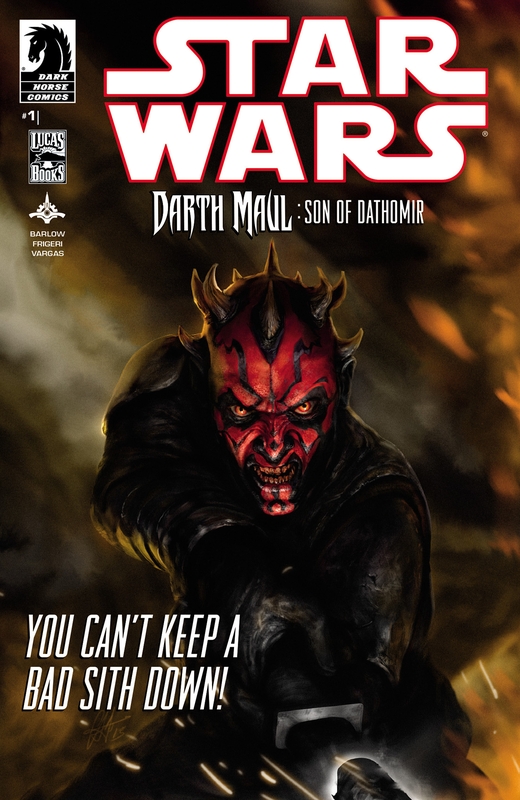 Honestly, my rationale behind this is pretty simple: at the end of the Darth Maul: Son of Dathomir comic series, Darth Maul is still alive. With the help of a few Mandalorian commandos, Maul escapes from the grasp of Darth Sidious, Darth Tyrannus, and General Grievous. Like I said, it is all pretty simple. As it stands right now, at this very moment, Darth Maul is still hanging around the galaxy far, far away. And the thing is, we can’t just presume he died before the events of Return of the Jedi. Maybe he did, but, then again, we all THOUGHT he had died once before because we actually saw him get cleaved in half. From May 19, 1999-January 21, 2011 Darth Maul WAS dead. But then, when The Clone Wars Season 3 episode “Witches of the Mist” aired, we all learned that HE WAS STILL ALIVE!!! Bringing Darth Maul back into the fold not only forever altered the way we watch The Phantom Menace, but also how we are to think about Darth Maul. No longer was he the quiet but vicious junior Sith Lord who killed Qui-Gon Jinn then was subsequently killed by Obi-Wan Kenobi. Oh no, this menacing Zabrak is VERY STRONG in the Dark Side of the Force, so strong that he relied on the Dark Side to stay alive even though he was cut in half. Cut. IN. HAAAALF. Yeah, there is no way I am going to sit here and pretend Darth Maul just happened to grow old and die. At this point, if you want to convince me that Darth Maul is really, REALLY dead, then he better be ripped apart atom-by-atom. But Darth Maul still being alive is only half of the issue. On the flip side, we also need to ask a pretty obvious question: since Sidious took on a new apprentice, is Darth Maul technically still a Sith Lord? Once a Sith, Always a Sith? Now, this is where things get complicated. See, in “The Lawless,” Sidious will ALSO remind Maul (after Sidious kills Oppress) of “the first and only reality of the Sith: there can only be two. And you are no longer my apprentice. You have been replaced!” Well, this is quite true, Maul WAS replaced… but then again, Maul was also not dead. And that right there is the key – since Maul did not die in The Phantom Menace, neither did his title as Dark Lord of the Sith. Sure, Sidious replaced Maul with Tyrannus, but he did so under the assumption that Maul was dead. As the Sith Master, Sidious should have been more careful, but he wasn’t. Instead, Sidious moved forward with his plans while Maul survived, albeit mentally and physically scarred, on the junk world of Lotho Minor. But not confirming Darth Maul was dead was Sidious’ first mistake, but not his last. Although Darth Sidious defeats Maul in lightsaber combat in “The Lawless,” he does not kill him. Instead, in an elaborate ploy (one that plays out in the Son of Dathomir comics), Sidious uses Maul as bait to draw out and destroy Mother Talzin, the powerful Nightsister. With assistance from Darth Tyrannus and General Grievous, Sidious will succeed in destroying Talzin, However, as I already noted, at the end of the four-part comic series Maul is able to survive. While Sidious exclaims at the very end that “Maul’s future has been erased” this does not mean Darth Maul has been erased. This is the second mistake Sidious makes, believing Maul is no longer a threat and choosing to let Maul flee instead of doing the obvious – just killing him. I really have no doubt that the people at Lucasfilm have a plan for Darth Maul. The fact that he does escape with his life is reason enough to think that this mysterious and vicious Sith Lord will receive further treatment at some point down the line. 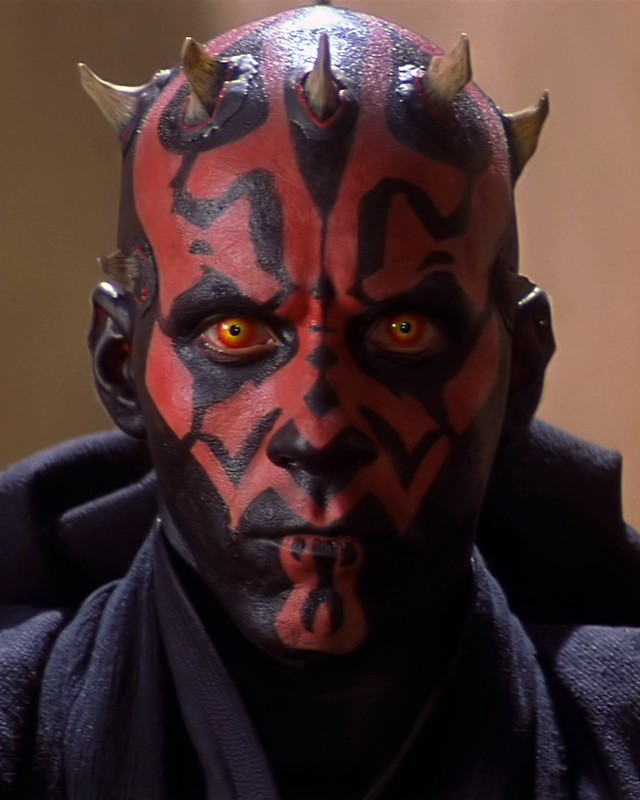 In fact, given that actor Ray Park has said he would love to reprise the role, I really hope we end up seeing a live-action Maul once again. Of course, when Darth Maul does decide to reappear, I hope his reemergence is handled with care. I do not want him to be brought back just so he can “officially” be killed off. No, at this point Maul deserves to much respect for a cheap, quick death. Don’t get me wrong, I have no problem with Darth Maul eventually dying, I just want it to be done in a way that does him justice. And while his story may very well come to a close before the events of Return of the Jedi, I am not going to sit here and just pretend it does. So, for right now, I am going to hold on to the idea that Darth Maul is the last Sith Lord. Update: Sadly, Darth Maul is not the last Sith Lord. In the Season 3 episode of Star Wars Rebels titled “Twin Suns” Maul meets his end at the end of Obi-Wan Kenobi’s blue blade on the planet Tatooine. I think that bringing Darth Maul back is almost a necessity, because a surviving Maul would not simply sit around for decades and fade into obscurity… That being said, he could easily be biding his time (he did learn how to plot from the best backstage plotter in the galaxy). Haha quite right, Mr. Baldwin. I think we will absolutely see Maul again. But, like I said, until he pops up again there is no reason to think he just flopped over and died. I mean, he might have, but that just seems way to unlikely. I’m not sure what the official plans are, but I’d like to see Luke and the New Jedi a order face off against Maul in Episode VIII or IV. Darth Maul is an epic character who, as you say, is still alive. Why not let his swan song play out on the the big screen?!? There’s nothing canon that says how long his species lives of how they age…it could work! Plus, it would make sense that Maul (who hates Obi-Wan for obvious reasons) would want to take his aggression out on the last Jedi Obi-Wan trained. You know, I have been thinking that his swan song will come before Return of the Jedi, but I think letting it play afterwards is a great idea! It would make sense that Luke would need to (after Sidious and Vader die) be on alert for any other Sith (besides, Obi and Yoda didn’t really tell him much about the mortal enemy of the Jedi). Plus, I love the idea of Maul wanting to take out his aggression on the last Jedi Obi-Wan trained. While my original thought was that Maul could hunt down Obi-Wan on Tatooine, it would be equally exciting to see him go after Luke with the thought that he could easily handle this last (and inexperienced) Jedi. A hooded figure, dressed in all black, stands in a poorly lit temple facing away from the camera kneeling at an altar. In the doorway of the room a shadowy figure stands, positioned close to the camera. The camera slowl zooms in, as a super cool and disturbing voice whispers “Peace is a lie, there is only passion… Through passion, I gain strength… Through strength, I gain power… Through power, I gain victory… Through victory, my chains are broken. The Force shall free me.” (The Sith code). The camera stops on the kneeling figure who turns to face the figure in the doorway. His face is shadowed to the point that it is unseeable. In the shadow of the hood, we see two starkly yellow eyes open right after the word “me”. Although we can only see the head, we hear the distinct hum of a light saber turning on and see a red glow slightly illuminate the hood’s fabric but leaves the face painfully shaded. But then, we hear it, barely half a second after the first hum… another light saber hum, accompanied by an intensifying of the red light. The screen snaps to black, and an almost monstrous screech of pure terror sounds shortly after. Then, silver letters fade onto the screen. They read “EPISODE IX” on the first line, on the second “2020”. While I do like the idea of Darth Maul returning to cause trouble for the all the new Jedi, I doubt that Maul would do something so reckless. From what we’ve seen of him, he firmly believes in the power of brute strength, and has a lust for revenge. But that was also when there were other Sith Lords that he had to compete with for power. I believe that Darth Maul will stay in the shadows like the Sith have for a thousand years. Maul would know that if he confronted the Jedi, there is a chance he might die, and with him, the Sith. He would probably train a new apprentice in the hope that the Sith will one day rise again. Let’s not forget that it was Darth Sidious, arguably the most cunning Sith of all time, who trained Maul. 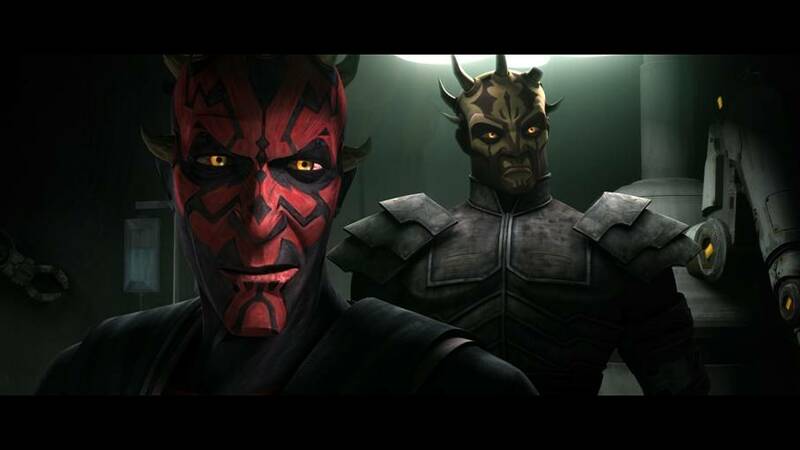 It is a major possibility that Maul would seek revenge, but he has an obligation as the last remaining Sith to instill his hatred into the next generation to persevere the Sith as a group. Well Matt, you’ve sold me. I’ll happily recommend you to direct Episode IX. That sounds crazy exciting! Informative and interesting article! My only problem with it is that in the book “Plagueis” Sidious is instructed by Plagueis to train Maul NOT as a Sith Lord but merely as an assassin. He was never taken into the confidence of Sidious or Plageuis as to what the “Grand Plan” of the Sith was or what his role was in that plan. He was never meant to be Sidious’ true apprentice. Like Tyrannis, he was only a piece on a chess board to be moved around and then sacrificed at the right time. Sidious only really took one apprentice and trained him in the true history and power of the Sith Lords in the Bane line, and that is Vader. I actually need to update this post with new information that plays out in the Third Season of Star Wars Rebels. And sadly the Plagueis book isn’t considered part of the official ‘Disney canon’ although I do agree with you that a case could be made that Vader was the last of the Sith Lords. However, I think it could also be argued that Sidious is the final Sith Lord in that in those final moments when Sidious is killed it is actually Anakin, and no longer Vader, doing the deed. It all sorta just comes down to how one interprets the sequence. I’m sure there is some “official” answer to it but that makes things less exciting at times. In this case, I think it far more interesting to speculate and think about (hence why I wrote this as a little think piece to begin with).